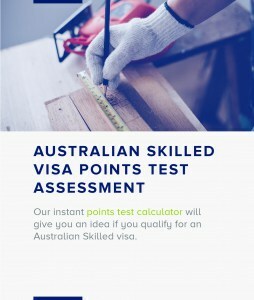 The visa costs from AUD 375. 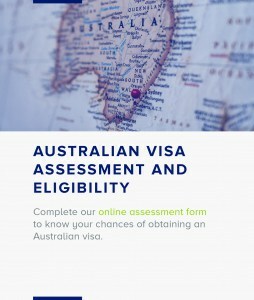 You must be in Australia when you apply for the visa and when a decision is made. There is eligibility criteria for family members. utility bills such as telephone, gas, electricity that show your residential address. Australian Federal Police checks can now be applied for online. Please refer to https://afpnationalpolicechecks.converga.com.au/. Further details and explanatory notes can be found at http://www.afp.gov.au/what-we-do/police-checks/national-police-checks.aspx. When applying, at section 2.3 of the online form under ‘Purpose Type’ select Commonwealth Employment/Purpose’. This will open another drop down box. In the new box use Code 33 for police clearances for immigration/citizenship. any other documents relating to your employment history that you provided for your skills assessment. The position should be described according to the nature of the duties undertaken (for example research chemist, accounts clerk). It should not be described in general terms (for example, research officer, public servant). memberships of any business or professional associations.